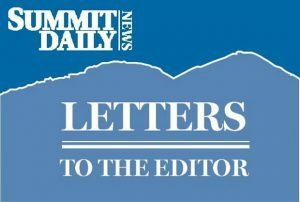 As reported by the Summit Daily on Tuesday, the Forest Service and a private contractor are taking advantage of recent and current fires to proceed with the ill-conceived and unpopular Ophir Mountain clear-cutting project, expecting opposition to be reduced. For them to conspire to use fear-of-fire this way is shameful. The clear-cutting will destroy the Peaks Trail, one of Summit County’s premier recreational resources and far more forest than the Peak 2 and Buffalo Fires combined, while contributing virtually nothing to fire safety. The work was originally “approved” seven years ago on the back of fire-fear from anticipated beetle kill, but actual tree mortality in the area was quite modest. Also, after one year, dead trees are less of a fire danger than live ones. And now, fires are more likely to start in the grasses and weeds that grow in clear-cut areas (as may have been the case in the Buffalo Fire) than they are in natural tree stands. This added risk may be worth it adjacent to development to provide a corridor for fire-fighting, but certainly not in areas three or more miles from any development, as much of the Peaks Trail and the planned clear-cutting is. Yes, with the current heat wave, we should be concerned about fires. And yes, we should be extremely grateful to the Forest Service for all the work they have done fighting recent and current fires. But this does not mean that they should be given carte blanche for work that would destroy a huge swath of beautiful healthy forest with negligible fire safety gain, just so that they or politicians can say that they have “done something about fire safety” or that they have helped promote a local (165 miles away) forest industry. Their limited funds can be far better—and less destructively—spent. Conditions in the forest and the world have changed in seven years. The remaining Ophir clear-cutting should be reassessed—and found a huge mistake—before being allowed to proceed. Yes we should be concerned about fire—but not let that allow destruction of the great trails and beautiful forests that are why we live here. By the way, stage 2 fire restrictions prohibit “use of a motor vehicle off National Forest System roads.” Certainly hope that the contractor isn’t violating those restrictions. Friends and fellow residents of Summit County. We could use your help. On July 5 we were taking a drive on the dirt road from Shrine Pass to Redstone. Our pace was not quick — we were two 60-year-olds and two 80-year-olds out to enjoy the day, so we stopped a number of times to let faster cars go by. We pulled over when we spotted the red columbines and walked down the road to take a few pictures. We saw a motorcycle approaching quickly from the opposite direction from around the bend. He did not slow down when he saw the four of us in the road so I made a motion for him to slow down. His response was to go faster and raise an even bigger cloud of dust. I motioned again, and he ignored me. So, and I am not proud to admit this, I stood my ground and continued to signal for him to slow down so we were not covered with dust and to keep my mother in law, who is asthmatic from having an attack. The motorcyclist was a young man with a lime green bike. He had on a shirt with a black number 92 on the front with lime green shoulders (matched the bike quite nicely). In the combined 140 years the four of us have lived in Colorado, none of us has ever had an experience like this. We have always done our best to share the mountain roads and to slow down near cars, hikers, bikers or horseback riders out of respect and courtesy for others and have had the favor returned. Please, should you know this young man, we would appreciate your passing on a message to him. Our guess is that no one ever taught him how to be a good steward of our recreational resources. He also had no problems with unleashing his rage at strangers his grandparents’ age. So please be kind to him and ask him in the future to have respect for our precious back country as well as the older folks out enjoying it who have been dedicated to preserving it so that he might be able to enjoy it for as many years as we have. Please remind him there is room for all of us. There is also room for kind behavior and shared appreciation of all the goodness that surrounds us. May No. 92 have enough blessings in his life to learn that he is connected to everything and everyone he encountered today — including a carload of old people out to smell the roses (which were blooming profusely!). Even though we all, as caring citizens and compassionale human beings, have extreme personal empathy for the senseless killing of Mike Littwin’s friend and others in Annapolis (see his column on July 5), we must not overlook the fact that the rogue shooter knew the newsroom (and our schools in other massacres) are unguarded, free-killing zones and was free to proceed with his inhumane slaughter without fear of any armed reprisal. If one person in that building or our schools had been carrying a legal concealed carry permit, the shooter would have been gunned down before he had a chance to get off one round, much less reload for additional rounds. Gun free zones are unopposed free slaughter zones when the shooter knows he has a free reign of terror. We are all heart broken by these tragic events, but an armed guard in public gathering places and in our schools goes a long way to prevent such madness. Today I was walking along the rec path at Copper Mountain and saw a woman running with her dog off leash. The dog lagged far behind her and I said you have left someone. She shrugged and said he will catch up. I then looked up as the dog dashed for the highway. A dark SUV was on the highway as the dog luckily ran across the road without getting hit. A courageous young woman jumped out to save the dog. I saw such courage and compassion! What a great young lady! Please, please, please keep your dog on a leash. To the young lady, I say you made my day, week, month and year! Thanks for writing about suicide on June 24 and highlighting the work Building Hope is doing in Summit County. The statistics on suicide are sobering, and yet I’m hopeful communities are bringing more awareness to mental health. However, I urge people, including the folks at The Summit Daily to use appropriate language about suicide. The phrase “commit suicide” harkens to a time when suicide was a crime. It is tragic, but it is not a crime. People kill themselves or they die by suicide but they are not committing a crime. Words are part of awareness.